At the request of Justice Cornelia Clark, the Administrative Office of the Courts’ Court Improvement Program has recently convened a committee to review and revise the Tennessee Rules of Juvenile Procedure. The committee will make recommendations for revisions that ensure consistent use of definitions and terms, use of gender-neutral language, and other improvements. It also will make recommendations about where substantive law needs to be deleted from the rules and where procedures need to be deleted from the TCA. The committee will propose that the rules be reorganized by case type, rather than keeping the current organization, which is by case stage. A final draft of all proposed revisions is expected to be completed by the end of October 2013. Approximately 40 judges, attorneys, court clerks, and others are serving on the committee, which is chaired by Alan Calhoun, Davidson County Juvenile Court Magistrate. The committee has been divided into two sub-committees. The first will focus on rules affecting delinquent and unruly cases, and it is co-chaired by Andy Brigham, Stewart County Juvenile Court Judge, and Stacy Miller, Davidson County Assistant District Attorney. The second sub-committee will focus on rules affecting all other types of cases heard in juvenile courts (dependent/neglected, paternity, child support, guardianship, mental health, and termination of parental rights), and it is co-chaired by David Kozlowski, Legal Aid Society Assistant General Counsel, and Rae Anne Seay, Legal Aid Society Staff Attorney. Lanis Karnes of KLS is on the committee representing the private attorney sector. 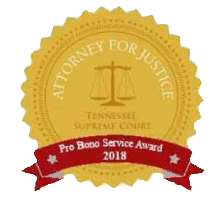 The committee encourages any thoughts you may have concerning the Tennessee Rules of Juvenile Procedure and the committee’s work. You may contact Lanis Karnes with your concerns.